More and more reports of new variants of MacProtector, including one now called MacShield, are circulating the internet. Some of them appear to have been modified just enough to be able to slip past some anti-virus (AV) software. Although AV software is constantly being updated to catch these new variants, it’s a game of catch-up. It is important for Mac users to do two things. First is to be vigilant. If you get alerts about viruses, don’t panic. That’s just what these hackers want you to do. Do not run the installer, if it is downloaded, and if it runs, don’t click the Install button. As long as you don’t do that, you’re not infected. Second, if it slipped past AV software, submit the installer to AV vendors so they can more quickly update their definitions. I highly recommend submitting to the ClamAV project, which is a volunteer project and thus needs everyone’s assistance. Make sure to include the text “macosx” (no spaces) in the description so that the Mac folks can find those submissions among the floods of Windows malware that get submitted every day. Apple released Security Update 2011-003 today, addressing the MacDefender issue. According to Apple’s documentation on this update, there are three basic additions to assist in dealing with the MacDefender outbreak. Before reading further, it may be worthwhile to read my Mac Virus Guide, to understand some of the fundamental ideas involved, and Apple’s own document on quarantine. I managed to get my hands on a copy of MacGuard this evening, and ran it through some tests to try to clarify some of the rumors floating around. 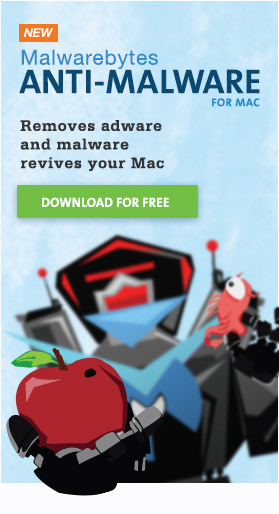 The good news is that, in all, this is just another boring old variant in the MacDefender malware line. The same old removal instructions still apply, and the application itself does not appear to have developed any new features. However, when it comes to the installation, there are some notable differences! Another new trojan has appeared in the MacDefender/MacSecurity/MacProtector line. This time it’s called MacGuard. From the initial reports, it does not sound like it is significantly different in most respects from the earlier versions. However, there is one notable difference: it no longer requires an administrative password to install. I am unclear on this point exactly why… some sites report that it is installed in the user Applications folder rather than the global one, while others give uninstall instructions that refer to the main Applications folder. I will report more as I learn more, but for now it appears that the same old MacProtector removal instructions will work, with minor modifications. First, and obviously, you need to look for the name MacGuard in addition to the other three when removing. Second, look in both the main Applications folder and the one in your user folder and remove MacGuard from wherever it is. If anyone has additional information, please let me know, and if anyone finds a live link to the malware, please let me know so I can get a copy of it. Apple posted their own support document today, titled How to avoid or remove Mac Defender malware, in which they describe how to respond to this malware. Their removal instructions are essentially identical to what I’ve outlined in Identifying and removing MacDefender trojans, which should be reassuring to those who have followed my guidelines. Even more reassuring is the fact that the article refers to a soon-to-come software update to help combat MacDefender and its variants. Whether this will come in the form of another update to Quarantine or whether they plan to develop a different response to this particular threat is something that only time will tell. Regardless, this promise of action should ease users’ minds, especially in the wake of rumors that Apple support techs have been told not to handle MacDefender issues, though some may criticize Apple for not taking swifter action. A colleague sent me a slightly different variant of MacProtector recently, with a creation date of 5/11/2011. I haven’t had time to do any really detailed analysis of it, and I’m not sure that the trouble will be warranted anyway. The differences appear to be minor. There have been reports circulating that MacDefender/MacSecurity/MacProtector may be doing nasty things like scanning the hard drive and sending data home. If this is true, it would be a more serious problem. The behavior that has been documented to date is less dangerous because it is entirely under your control. You choose whether to proceed with the installation, and you choose whether to give a credit card number. Many people have accepted the installation, but balked at the credit card… but that could be a problem if the trojan is doing other things behind the scenes. So, are these rumors true? Here’s what I found. A lot of people are being affected by MacDefender, or one of the variants of MacDefender (MacSecurity, MacProtector and MacGuard, at this time, possibly more in the future). As a result, I’m getting a lot of questions from people about how to tell if they’re infected, how to get rid of the trojan and what else they need to worry about. Hopefully, I will answer all those questions and more here. For those unfamiliar with these trojans, see my previous MacDefender news posts. A new variant of MacDefender has appeared, called MacSecurity. The name is different, as is the appearance of the fake “anti-virus scan” website. However, in all other respects, it is the same as MacDefender, as far as I can tell.